GM and Aura are right. It is too early to be judging this game yet, seeing how there are 8 months 'till it comes out in stores. 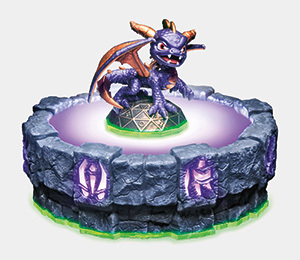 I hope this has some good game-play, 'cause this Spyro looks a bit messed up. He seems too ... creepy to have the cute name of "Spyro". Maybe, "The Purple One"? Eh, whatever about the looks. I've gotten over it. I wonder what creatures they will toss into the toy-box? The bad guy is going to be strange. I get that feeling from this. >.> Insane, or something. Anyway, I hope it's worthy of the title "Spyro"! v I agree with Gaming. Skylanders is still working in progress, and we only saw game footages that are still in development. It's only 8 more months till the games comes out, and it's too early to be jumping to conclusions and panicking. Malefor_Rules is most likely merely speculating. It was never announced the would be no Sparx. He isn't appearing in the trailers, but first of all, the game hasn't even reached a Beta stage yet, and secondly, he might appear in cutscenes or something... We DID only see a few minutes of footage, after all... But somt hold out for him on this words, just be patient and it'll be known soon. The toys and all are a good idea, but I wish Spyro hadn't gotten tangled in it. We can do without Cynder in this game cause if she's ugly now then she look hell of alot more ugly in this game. And no Sparx? What the hell is this?! 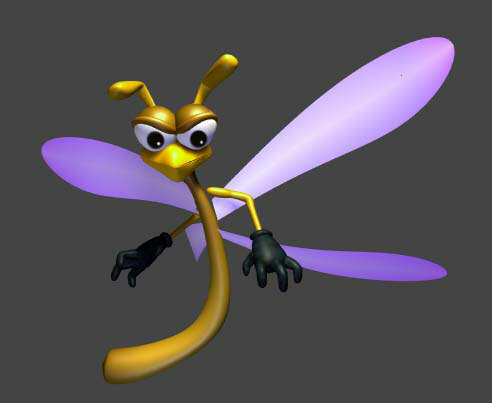 bad news for everyone, there will be no more sparx and hunter, two of the best character who have been around from the beginning, if toys for bob get enough complaints they have hinted that they might change their minds about that and possibly add cynder, this game has been aimed at 6-12 years olds remember, spyro's design might change to if theres enough complaints so email toysforbob as soon as possible people!!! Nawww I miss Spyro's purple eyes. and...Where's Sparx!?!? He had better be in it, you can't have a Spyro game without him! I honestly don't know what to think of the new Spyro. This game will bomb... just watch. I'm about to cry right now. Out of sadness.